Magic Touch, the latest game from London-based development company Nitrome, puts you in control of a wizard who has been hired to defend a castle. As enemy knights descend from the sky via attached balloons, you swipe on the screen to cast spells that destroy the various types of balloons. As you progress through the round, the enemy knights descend faster and require more spells to pop their balloons. Your goal is to stop as many knights as you can from reaching the castle; as soon as they do, it’s game over. Each knight you defeat drops coins that you can use to purchase new spells to slow down time, turn enemies into frogs, light the castle floor on fire, mount defense turrets, or even summon a dragon to slay your enemies. 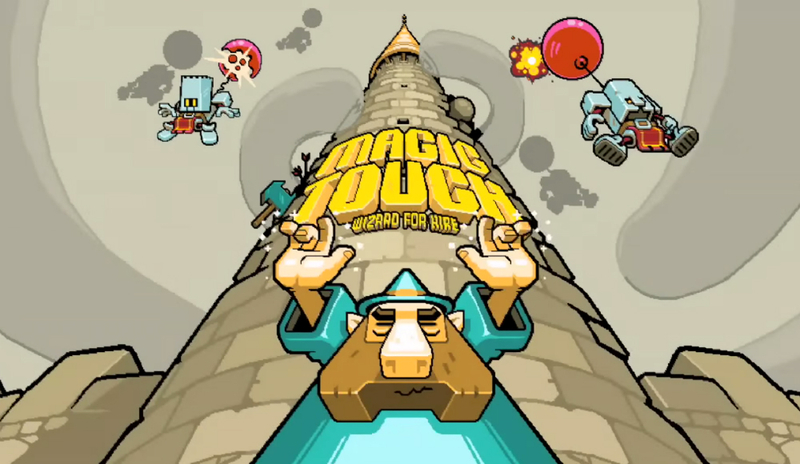 Magic Touch: Wizard for Hire is free on Google Play. For a $3.06 in-app purchase you can remove advertisements.